Despite some serious challenges that Latin American economy faces, the region is considered to be the fastest growing e-commerce market in the world. In 2019, 155.5 million Latin Americans are expected to be shopping for goods and services online. That’s a dramatic change from 2016 126.8 million million e-buyers. With the booming e-commerce market like that, local logistic has no other choice but to grow. Latin America’s close proximity to North American markets, rich natural resources, attractive labor costs, and liberal trade policies make the region very attractive as a global supply chain partner. So much so, that many in the industry expect 2019 to mark a turnaround year for Latin America logistics. – What makes the LatAm region a valuable partner in a global supply chain? – What are the biggest challenges facing Latin American logistics? – What are the key considerations for international businesses conducting cross-border transactions in the Latin America region? What makes Latin America a valuable partner international shipping logistics? Many businesses consider Latin America a very valuable partner in a global supply chain, and for a good reason. With a total GDP of $5.61 trillion, the LatAm region offers the potential to reach more than 500 million consumers. The rapid growth of e-commerce, coupled with attractive labor cost, abundant natural resources and proximity to North American markets have also accelerated the development of the region as a valuable partner in a global supply chain. All these factors create better trade enablement and push international businesses to open their warehouse facilities in Latin America. Because in Latin America opportunities abound for both sourcing and selling, many overseas companies are working on expanding their presence in the region. To save on international shipping and reduce lead times, business giants like DHL and Walmart open more and more warehouse facilities in Latin America. Recently e-commerce giant Amazon also announced its plans to push harder into Brazil’s market by opening a warehouse just outside São Paulo. Right now Brazilian Amazon relies mostly on 3pls to ship their goods. Having their own logistics facilities in Brazil would mean reeling in buyers with fast deliveries while cutting the cost of the shipments down. In Mexico, where local digital economy has just as much potential as in Brazil, Amazon took even more aggressive approach. It operates three warehouses about 1.5 million square feet combined, and it plans to expand even more. You obviously can’t underestimate companies like Amazon building their facilities in Latin America, because in a way, they shape local logistics. The more warehouses there will be, the better the supply chain will have to become. What are the biggest logistic challenges that Latin America faces? On the flip side, development of the Latin American logistics does not come without challenges, and inadequate infrastructure is definitely on the top of that list. For example, more than 60% of Latin America’s roads are still unpaved, and in some parts of the region, it can take 60+ days for the package to reach the destination. Interestingly enough, when it comes to delivering the package in Latin America’s urban logistics, the last-mile delivery often takes up the most significant part of the shipping cost — locating an address on an unnamed street, reaching difficult to access rural areas and sitting in traffic does not come cheap to local logistic companies. To deliver the packages to that places more efficiently big logistic companies often rely on smaller local logistic startups like Brazilian CargoX, or Mexican Rappi and Chazki. Another significant challenge that cross-border logistics are facing in Latin America is bureaucracy and red tape in customs. Because of the bribes to expedite the clearing of the packages and other numerous obstacles at customs, shipping into the region often gets expensive and quite time-consuming. Lack of customer returns solutions is another barrier for international deliveries. 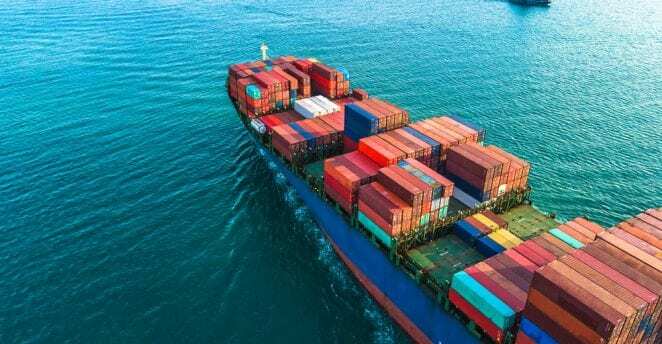 While more developed markets like Mexico and Brazil are quite effective at managing returns, in less mature markets like Argentina, Chile and Colombia the international shipping rates and return rates might be higher than the cost of a product itself. Logistics in Latin America are also highly influenced by international politics. For example, Mexico-US trade that represents almost 35% of all of Latin America’s trade is deeply affected by Trump’s anti-Mexico rhetoric. If US Congress follows through on the president’s agenda to NAFTA renegotiation and border tax adjustment, Latin American logistics will suffer greatly. There are many considerations for international businesses who plan to sell and deliver their goods in the latam region LatAm region. Navigating the complex regulations and customs framework is one of them. Depending on the product and the LatAm country, the primary import duty can typically be anywhere from 10%-35%. An industrialized product tax is also added at the customs clearance. Finally, there is a third type of tax – merchandise and service circulation tax. It is imposed by government, and it is typically included in the final price of the products paid by the customer. The tax typically hovers anywhere between 7%-18%. Apart from the tax on international shipping, there are many other procedures that logistics companies have to follow. Operation Declined or Ignored stage. The primary goal of Manifestacao do Destinatario is to ensure that purchase orders and goods sent and received match. To be able to track the goods all the way from warehouse to their final destination, Brazil is enforcing The National System of Identification also known as Brazil-ID. Requirements for worldwide shipping varies from entity to entity. In Argentina, for example, a logistics company have to provide a Remito (shipping and fiscal document) to the local provincial government of each Argentinian province that the shipment travels through. Suppliers in Chile have to either provide the invoice that the goods will be traveling with, or have a signed in real time electronic bill of lading called Guia de Despacho. For years international shipping and logistics issues have been the main obstacles for cross-border trade in Latin America. To find growth and to catch up with the fast-growing e-commerce market, local logistics in the LatAm region have to redefine themselves. And that’s exactly what is happening in the region now. With more and more overseas titans like Walmart, DHL and Amazon building their facilities in Latin America and smaller logistics companies bringing down costs of shipments and accelerating deliveries, local logistic is poised to grow.